In the mid 1990s (when I was working part time and had plenty of free time on my hands) I began piecing this quilt for my friend Wendi. I worked on it right up until the time I came back to Oklahoma and resumed working full time. I’ve always meant to get back to it, but never have. To this point all of the work is done by hand. The plan was to do everything by hand. Even the quilting. Well, times have changed and I no longer have that much free time on my hands. This year Wendi will celebrate her 50th birthday and I would like to have this quilt done in time to give it to her. Obviously, the only way that is going to happen is if I complete the rest of the work by machine, so that is what I’m going to do. 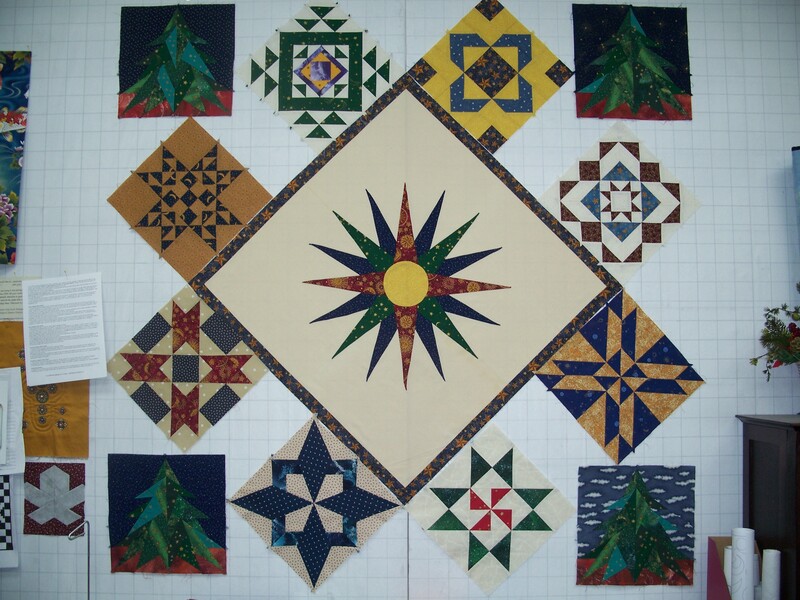 This entry was posted in Uncategorized and tagged finishing, hand piecing, quilt, quilting, resolution 2014, UFO, Wendi. Bookmark the permalink. I have some projects like that. They have been around now for years. Looking forward to seeing it done.